Ah, summertime. Time for BBQ’s, beach picnics, mowing lawns, and horrendous heat! So how does one find refreshment when sitting in temperatures that feels like the Seventh Circle of Hell? Grab an awesome craft beer of course! There are so many “summer style” beers to choose from, I have chosen a few that have tickled my fancy as of late. Ninkasi Wünderbier – This tasty beverage is a German-Style Kölsch. I love a good Kölsch and was very excited to stumble upon this one. Slightly sweet with a hint of Golden Grahams cereal, Wünderbier is crisp, light, and finishes clean. It’s a nice session beer at only 4.4% ABV. New Belgium Summer Helles Lager – Hints of honey hit your nose before first taste. Summer Helles is very light in body, easy to drink, and has a nice, soft spice to the finish. It’s hard to put this one down! 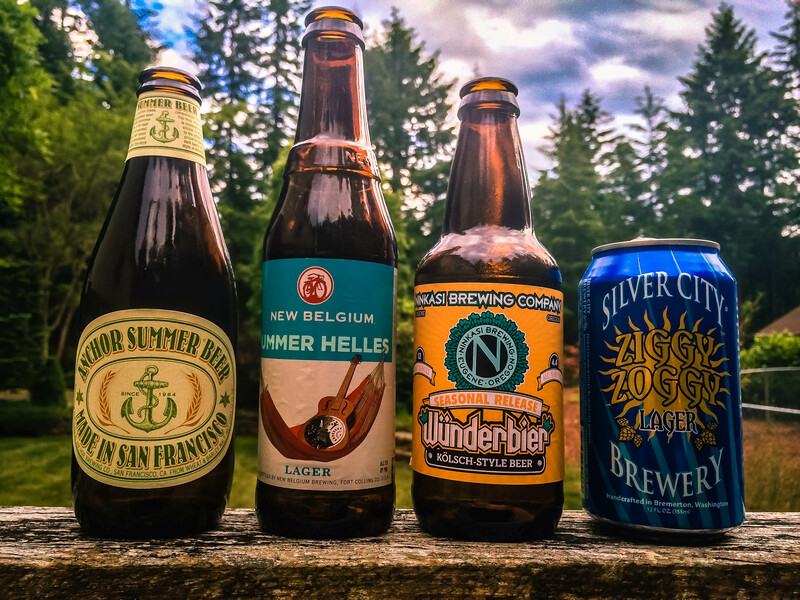 Anchor Summer Beer – The very first craft beer I ever had was an Anchor Steam. That was 20 years ago and since then the Anchor Brewing Company has never disappointed me. This beer is no exception! This filtered wheat beer is crisp and light, with a hint a honey. Very refreshing. Silver City Ziggy Zoggy Lager – One of my favorite breweries in Washington State, Silver City Brewing Company “kills it” with this awesome, unfiltered summer beer. Banana clove tastiness, honey everywhere, malty, and light. This one is a summer favorite for me!